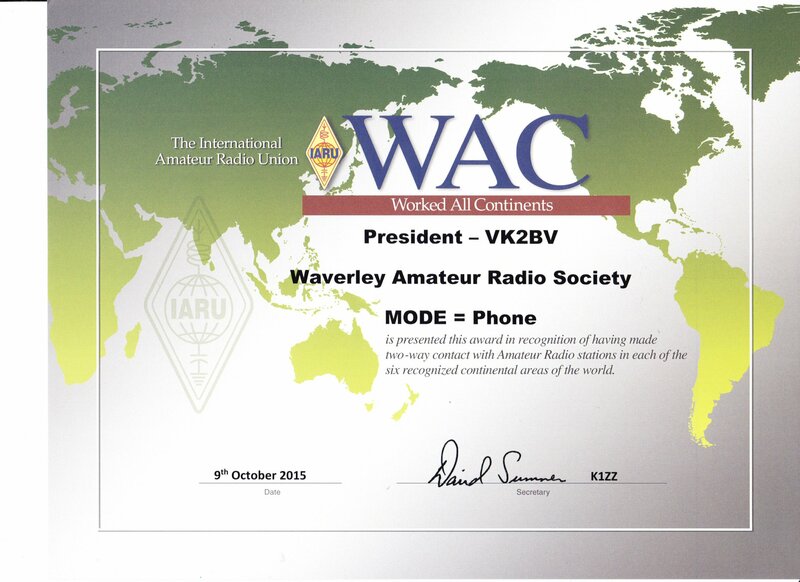 Awards issued to the Waverley Amateur Radio Society for achievements in operating. International Amateur Radio Union Worked-All-Continents award is issued for working and confirming all six continents (North America, South America, Oceania, Asia, Europe and Africa) on a variety of different bands and modes. 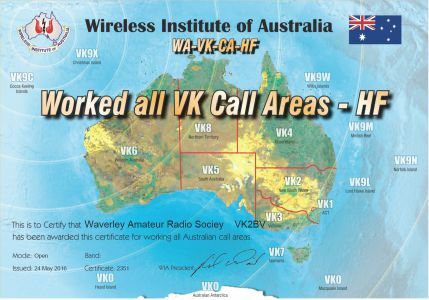 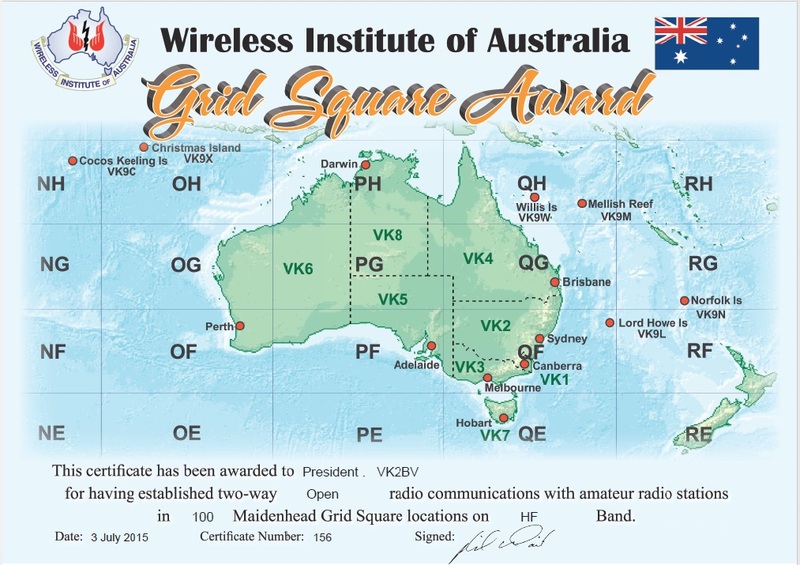 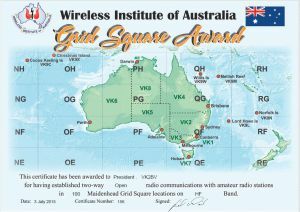 • Requires a minimum of 66 QSO’s for this award.